The main river plus its tributaries. 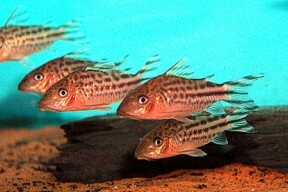 Use a substrate of fine sand and provide shelter in the form of smooth rocks and chunks of bogwood. Areas of thick planting are also appreciated, as is the provision of some floating cover. 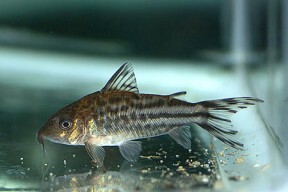 Also provide some surface turbulence and flow, as it prefers well-oxygenated water. 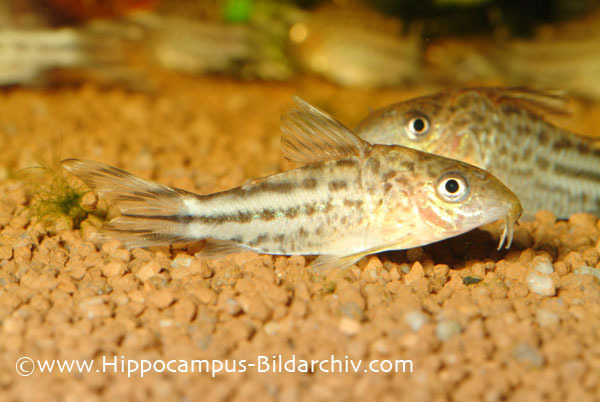 As with all corys, don’t use undergravel filtration, and ensure the substrate is kept scrupulously clean, as these catfish are sensitive to poorly-maintained or dirty substrates and can lose their barbels if kept in poor conditions. 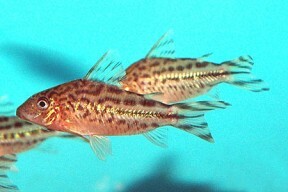 Like most corys, C. robineae is most easily sexed when viewed from above. Females are noticeably rounder and broader-bodied than females, especially when full of eggs. Not the easiest species in the genus in which to induce spawning, but it can still be bred in a similar fashion to many other Corydoras species. A strikingly-patterned cory that has only bred in aquaria quite recently. 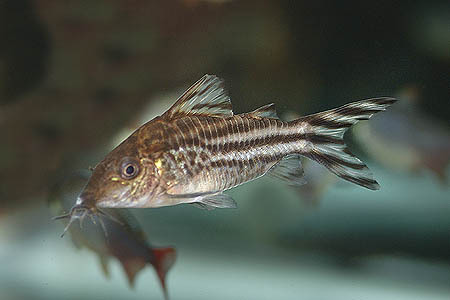 It’s also known as the bannertail cory.